It’s Sunshine Week in America, the one week of the year celebrated by news organizations and open government advocates about keeping government honest. 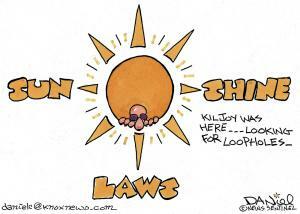 In Tennessee, we take pride in the fact that the state’s Sunshine Law predates the national Sunshine Week by 31 years. In 1974, the Tennessee General Assembly passed the most comprehensive in the nation to insure that public business is conducting in full public view. It also covers a variety of boards of directors of associations, non-profit or not-for-for profit corporations, authorized and contracted to conduct business on behalf of the public. That’s where you come into the picture, because as a citizen, you have responsibilities to fulfill. Most people don’t think about the rates for water or trash pickup or property taxes until the rates go up. In today’s society with all its complexities, it is not feasible for every citizen to attend every public meeting of every public body in the community. It may not possible with available resources for a newspaper or broadcast station to cover them all. If you have a question – any question – about the Sunshine Law or about access to public documents, TCOG is available to help. Kent Flanagan is executive director of TCOG. He can be reached by phone at (615) 957-2825 or by email at kent.flanagan@gmail.com. NASHVILLE – More than 1,200 people contacted the Office of Open Records Counsel during the past year, and most of them were government officials, according to a recent report. The annual report shows 1,213 inquiries, all but about 100 dealing with access to public records and the remainder with interpretation of the state’s open meetings law. 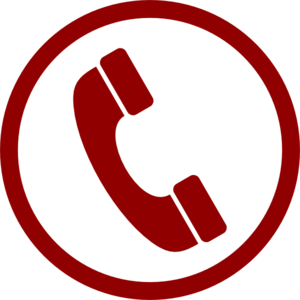 A majority of the inquiries, 628, came from government officials, while average citizens contacted the office 492 times. Frank Gibson, executive director of the Tennessee Coalition for Open Government and a member of an advisory council that works with the office, said the figures are significant because they show the office is working as envisioned when created in 2008. Keep up with all the latest news about TCOG’s important work. Become a fan of our page on Facebook and follow us on Twitter at @TNOpenGovt. But Frank Gibson, executive director of the Tennessee Coalition For Open Government, warned that changes to the Public Records Act open up a can of worms. Exemptions that are intended to be specific are often interpreted quite broadly by the officials in charge of those records. That means the officials won’t release information that is supposed to be public. “It gets abused by people who don’t understand what the exemption was designed to protect in the first place,” Gibson said. The 2011 legislative session is stacking up to be a very bad year for open government in Tennessee, with threats coming from several fronts. Keep up with all the latest news from TCOG. Like our page on Facebook at facebook.com/tnopengovt and follow us on Twitter at @TNOpenGovt. The state’s highest court has been asked to force the release of records pertaining to the $200 million in tax credits for the TNInvestco program, The Tennessean says. 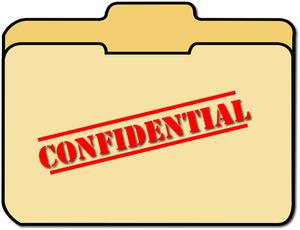 Frank Gibson, executive director of the Tennessee Coalition for Open Government, said the case does raise important questions about access to public records. The Kingsport Times-News has dropped its lawsuit against Sullivan County Mayor Steve Godsey after Godsey released the names of the applicants for head of the county’s EMS service and paid the newspaper’s legal fees, the newspaper reports. Frank Gibson, executive director of the Tennessee Coalition for Open Government, said such practices raise concerns. “It’s not just a red flag. It’s outrageous,” Gibson said.